As travelers continue to embrace the gluten-free diet, hotels have expanded their room service and restaurant dining options. These bed and breakfasts, intimate boutique hotels and chains across the globe are a breath of fresh air for gluten-free travelers, with everything from gluten-free breakfast buffets to a minibar stocked with safe snacks. 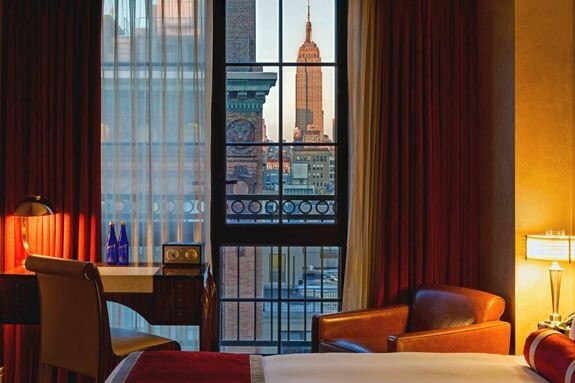 Breakfast at The Marlton, an elegant boutique hotel in lower Manhattan, includes gluten-free treats made in-house at their Espresso Bar. Enjoy vegan, gluten-free breakfast cookies with a raw almond milk cappuccino. The St. Regis Bal Harbour Resort in Miami Beach, Florida, offers a complete gluten-free breakfast at its Atlántico restaurant. For an in-room treat, raid the “Wellness Minibar,” which can be personalized with gluten-free snacks like Go Raw Banana Bread Flax Bar and Citrus Chia Power Snack. After dinner, sip a signature organic cocktail from St. Regis Bar & Sushi Lounge, made with fresh cucumber juice or coconut water. Inn on Randolph, a renovated Victorian home tucked inside Napa Valley, is 100% gluten free. The B&B’s sumptuous breakfasts are made with fresh ingredients from Napa’s Farmers Market or the property’s own garden. The owner, who has been gluten free for several years, also makes homemade granola and chocolate chip cookies. 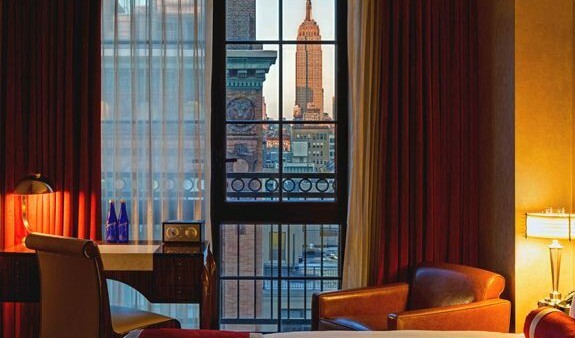 The Jade Hotel in New York City’s Greenwich Village has swapped the chocolate on your pillow for a gluten-free, vegan chocolate chip cookie at turndown. The cookie comes fresh from BabyCakes NYC bakery. Chain hotels are also embracing the gluten-free lifestyle. Omni Hotels and Resorts across the U.S. offer a gluten-free breakfast buffet that includes cereals, multi-grain bread and English muffins. Fairmont Hotel and Resorts’ worldwide locations offer a Lifestyle Cuisine menu with meals designed for those with food allergies or sensitivities. Many other hotels are happy to accommodate gluten-free diners if they are notified in advance. Before booking, research destinations on sites like Trip Advisor, and keep an eye out for travel reviews and tips in Gluten-Free Living.